aside from all the baking, cooking & eating this holiday season, there is one more important thing we can't forget about.. the drinking! i wanted to create a fancy, woodsy tasting, non-alcoholic holiday beverage that resemble winter in a cup. because those of us who don't drink much deserve a fancy looking cocktail too/ no longer have to be questioned & judged for only drinking sparkling water at a party! but relaxxxxx, i still left the option to add vodka or gin if you want to kick it up a notch & turn this drink into a boozy cocktail. 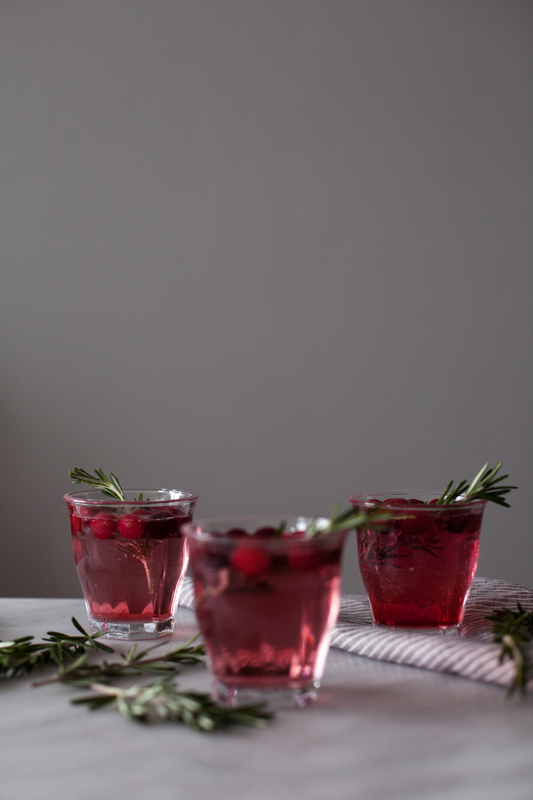 the vibrant red from the cranberries mixed with the forest green from the rosemary looks SUPER festive (i am obsessed with this combination)! 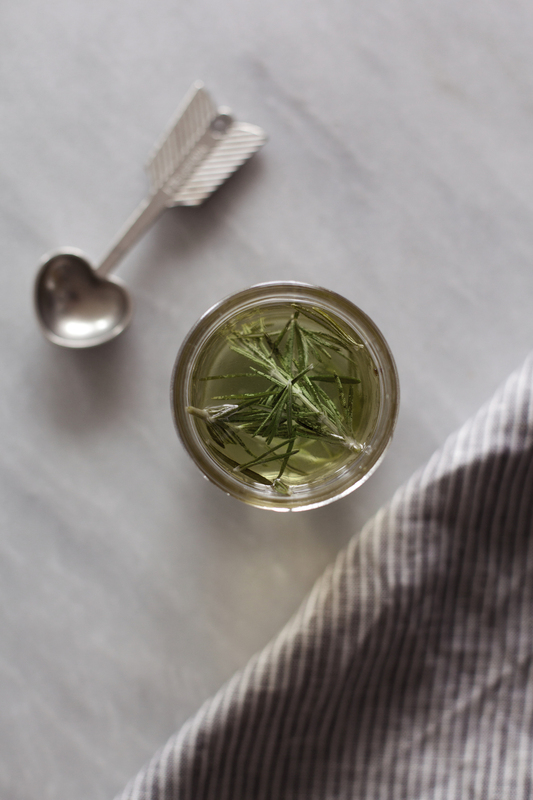 lastly, making a homemade rosemary syrup is a simple way to up your cocktail making skills & impress your guest. for the rosemary syrup: in a sauce pan over medium heat combine rosemary, sugar & water. brig to a boil & remove from heat once the sugar has dissolved. let cool to room temperature & strain the herbs. fill glass with frozen cranberries & crushed ice. 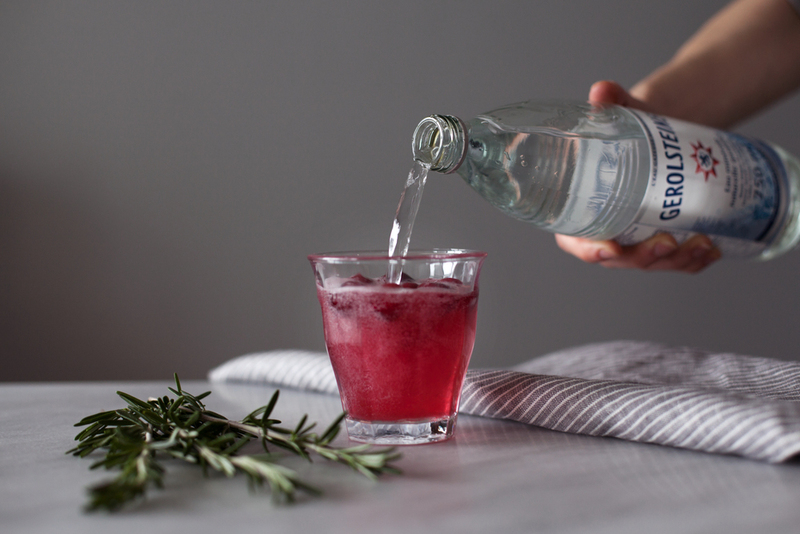 top with rosemary syrup, vodka, cranberry juice & sparkling water. 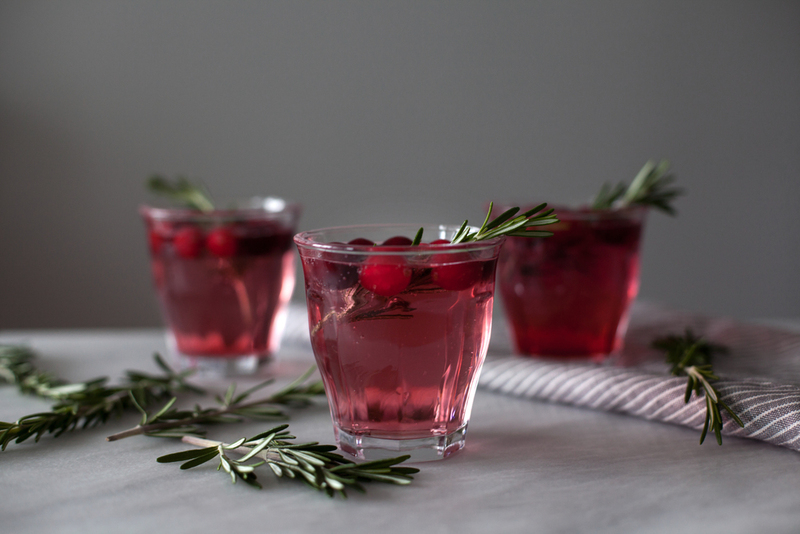 garnish with a sprig of rosemary & frozen cranberries.